March 5, 2012 - Wichita, Kansas based Hawker Beechcraft has reported that Brazil has become a leading market for the company’s entire product line, and as the business jet population there flourishes into one of the largest in the world, so too grows the Hawker Beechcraft fleet. From 2001-2010, the number of business aircraft delivered in Brazil has increased by more than 170 percent, according to JETNET research. Hawker Beechcraft has capitalized on this growth in the last five years and has seen this market grow to its second largest in terms of deliveries outside of the United States. In October 2011, the Hawker 4000 became the first composite super-midsize business jet to receive Brazilian Type Certification from the National Civil Aviation Agency of Brazil (ANAC). The aircraft is ideally suited for Brazil; it can travel anywhere non-stop in South America from Sao Paulo and provides access to the southeast coast of the United States and Europe with one-stop. The Hawker 4000 is also capable of operating on shorter runways commonly found in the region. 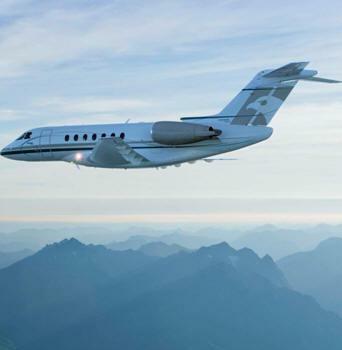 This last week, the company launched a nine-day Latin American tour with the Hawker 4000 starting in São Paulo with stops scheduled in Argentina, Chile, Colombia, Panama and Mexico. The composite fuselage Hawker 4000 sets the standard for quality, performance and value in the super-midsize business jet class. With a 3,280 nautical mile non-stop range and cruise speeds up to Mach 0.84, it features a sophisticated corrosion resistant composite fuselage, all metal supercritical wing, powerful Pratt & Whitney Canada FADEC-controlled engines and state-of-the-art Honeywell Primus EPIC avionics. It also has enhanced situational awareness and flight management systems, backed by real-time system monitoring and status. Ideally suited for long-range operations or long oceanic flights, the Hawker 4000 is equipped with dual IRS (Inertial Reference Systems), dual air-cycle machines and dual auto throttles.